Also known as in-memory or non-malware attacks, fileless malware has existed for years but posed a limited threat as it was very rare and was removed upon system reboot. This changed in 2014 with Poweliks, a click-fraud Trojan which was the first fileless malware to demonstrate persistency functionality. Today, fileless techniques are part of almost any cybercrime or nation-sponsored groups’ arsenal and present one of the most dangerous threats to organizations in every industry. The new 2017 State of Endpoint Security Risk study by Ponemon found that the number of fileless attacks increased by 45% in 2017 and that 77% of successful breaches involved fileless techniques. In the report “Fileless Malware: Attack Trend Exposed,” we trace the evolution of this trending attack vector, as marked by exponential growth in both fully fileless attacks and commodity malware adopting fileless tactics. It looks at different fileless techniques and examines how various malware incorporates these techniques to avoid being detected. Get it in PDF form here. WHY IS FILELESS MALWARE SO DIFFICULT TO DETECT? While security detection solutions apply a number of techniques to identify and detect malicious activity, static analysis is one of the main foundations. Static analysis can be performed with no execution of the code and is generally applied without interference to normal user operations (offline processing). When it works, this implies a shorter detection cycle and better performance scale. The basic requirement for any static analysis technique is that the binary is visible and accessible. When there are no files on the disk or when the code persists solely through process memory, the code is not accessible and, without doing in-memory dynamic analysis, the code is also not visible. No Code/Files => No Detection. Whitelisting can help – certainly the liberal application of whitelisting solutions helps to limit execution by interpreters. But it also limits the operational flexibility of an enterprise. Moreover, we see a clear pattern of attackers inventing new patterns to bypass whitelisting solutions on a weekly basis. Where should we stop, are we to scan .txt files,.sct files, .xml files? Are we to build a parser /interpreter for each type of interpreted file? Are we to block any suspicious string, even if it is just a comment in a report? These are the questions solutions face when trying to balance false positives, user interference and early detection. This is the reason some security vendors limit their static scanning only to a specific type of interpreted file. But even in this case, they still have difficulty scanning those files as a result of easily available obfuscation options (but this is a different conversation). Windows registry manipulation – In this technique the fileless code is usually written and executed directly from the registry by a regular Windows process. This helps to achieve some of the following: persistence / bypass UAC / bypass whitelisting / injecting code into different processes. Memory code injection – This technique allows the malware to keep living and reside solely within process memory while the processes are running on the system. The malware will distribute and re-inject itself into numerous legitimate processes that are critical to normal Windows operational activity and therefore cannot be whitelisted or even scanned. Security vendors will need a proper justification to kill, block or quarantine such a process, making it a very attractive target for a hacker. Some well-known code injection techniques are remote thread injection, APC, atom bombing, process hollowing, local shellcode injection and reflective loading. Script-based – As described previously, this is not a 100% fileless technique but creates similar issues for detection solutions and is one of the preferred methods by attackers to maintain stealth. 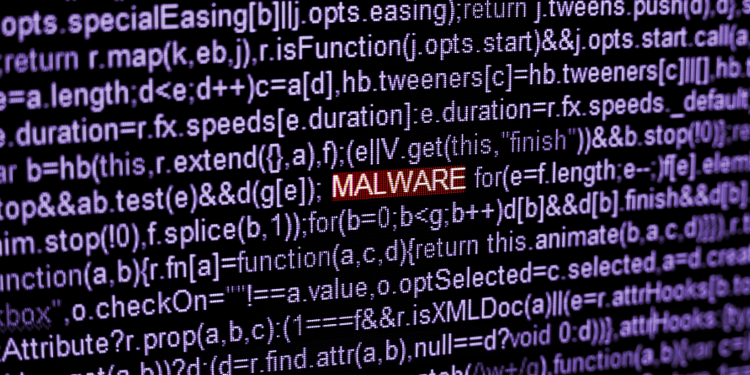 Many types of malware have added fileless techniques to their arsenal. They are not truly fileless malware as they didn’t make a full transition but have adopted fileless techniques in their attacks. We’ll look at both these and more advanced cases of fully fileless malware. Process Hollowing – as described in this blog, the first appearances of Hancitor (starting in November 2016) created legitimate processes (svchost & explorer) and used a known technique of CreateProcess in suspend state, unmapping the executable memory and replacing it with the malicious code. Poweliks as fully fileless malware appeared first in 2014 and made headlines due to its innovative persistency method through registry. Kovter is the modern Poweliks variant. It first appeared in 2015 and it borrows some of Poweliks’ fileless methods to stay stealthy and bypass today’s detection techniques. KovCoreG is one of the more sophisticated groups that distribute constantly evolving Kovter variants. Over the past 3 years, Kovter has been distributed through Exploit kits, Macro documents, Scripts (Chrome and Flash updates), and more. Although in some cases Kovter may download a next stage payload to disk, in many cases it stays with a fully fileless, persistent click-fraud variant. Process Hollowing + PsExec – Sorebrect utilized a stealthy PsExec technique for propagation and infection (as was done by NotPetya and Samsam). While staying fileless, it executed the process hollowing technique on a legitimate Windows process (svchost.exe), eventually encrypting the disk using a legitimate Windows process. The Dridex banking Trojan is an advanced malware family that rapidly adopts fileless techniques into its arsenal. A recent version of Dridex was one of the first to use a new code injection technique called Atombombing, which injects malicious code into any process by utilizing the Windows Atom Tables. This code injection method bypasses both whitelisting and static detection techniques. Although many are familiar with the SMB exploit that was used in the WannaCry ransomware breakout, only a few know about the fileless malware variants utilizing the same exploits. CreateRemoteThread – Injecting of a new thread into the usermode lsass.exe process directly from kernel. APC – In some cases (following the implementation of some pentesting frameworks) new variants appeared which employed existing threads (threads in alertable state) for malicious shellcode execution. Network->Kernel code injection – The malicious shellcode is injected directly into the kernel through the SMB packets without a single file on disk. Reflective loading – Meterpreter injection usually works by injecting a DLL code into the process directly from network and then remapping the DLL inside the process. The method requires the shellcode to identify all the required functions in the process and remap those addresses into the injected DLL. Local injection – In the case of the DNS messenger, a shellcode is injected into the running process by the same running process after receiving it from the DNS TXT records (using VirtualAlloc). This makes for stealthier execution and evasion from behavior detection solutions. Although packing is a legitimate way to compress executable, essentially, it’s in-memory self-modifying code that alters the memory state of the process. The same technique is utilized by many malware families for signature re-creation and more importantly – behavior detection evasion. Overall packing can also be used as a method for code injection by rewriting the existing executable and recreating its code after decryption and remapping of the new functionality. Malware likes to hide their real API and functionality with encryption of the functions and execution of a position independent code (shellcode). The same code does not use much of the declared API and performs reflective loading of new malicious DLLs. We identify this technique as fileless because the result is running malicious code that was created purely in memory, without writing to the disk. Many known malware heavily utilize packing and local code injection techniques to evade static analysis, including Locky, Cerber, LockyBot, Andromeda and others. Fileless has gone mainstream, with fileless techniques being widely incorporated into existing malware and serving as the basis for new, highly advanced, fully fileless malware. Fileless-type attacks were one of the fastest growing threat vectors in 2017 and are predicted to grow even more in 2018. These attacks execute code in memory and use legitimate system resources to perform malicious actions. They leave no traces on disk, letting them completely bypass detection solutions. The majority of today’s successful endpoint compromises are caused by fileless attacks; they have nearly a 10x greater success rate than file-based attacks. Enterprises need to recognize this attack vector and look for new technologies dedicated to preventing fileless, in-memory threats. Morphisec’s Moving Target Defense outmaneuvers fileless attacks by morphing the memory space so the system resources they target are inaccessible.